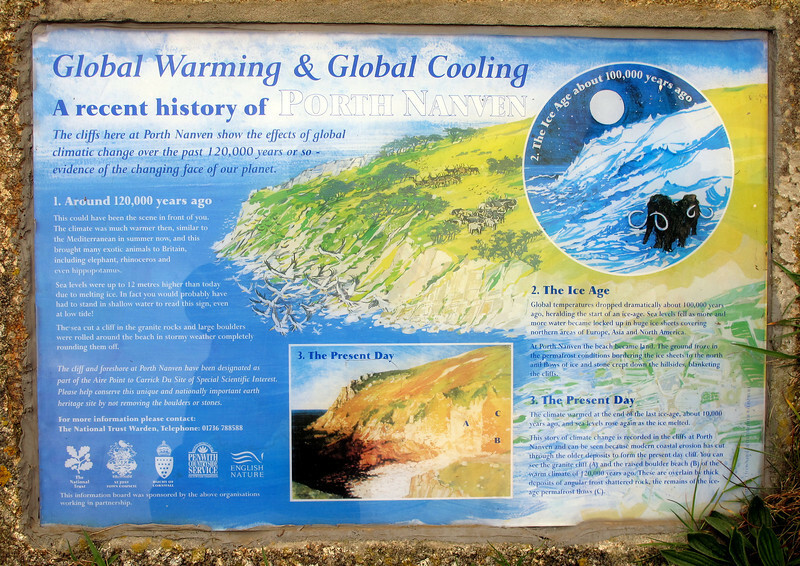 Day 3 - Pendeen to Sennen Cove, 28 April 2013 Distance walked 9.27 miles Elevation gained 1683 feet Weather - Cloudy with sunny intervals - breezy but warm. 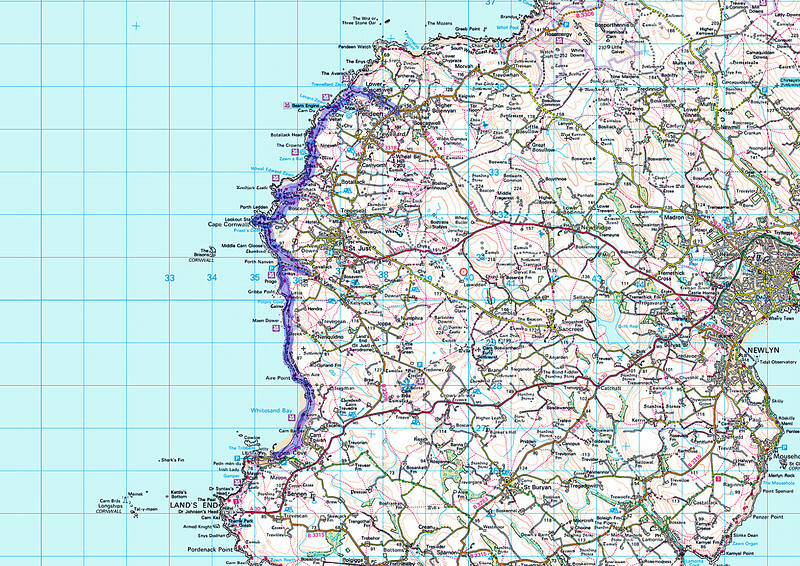 Today's route on an Ordnance Survey map. 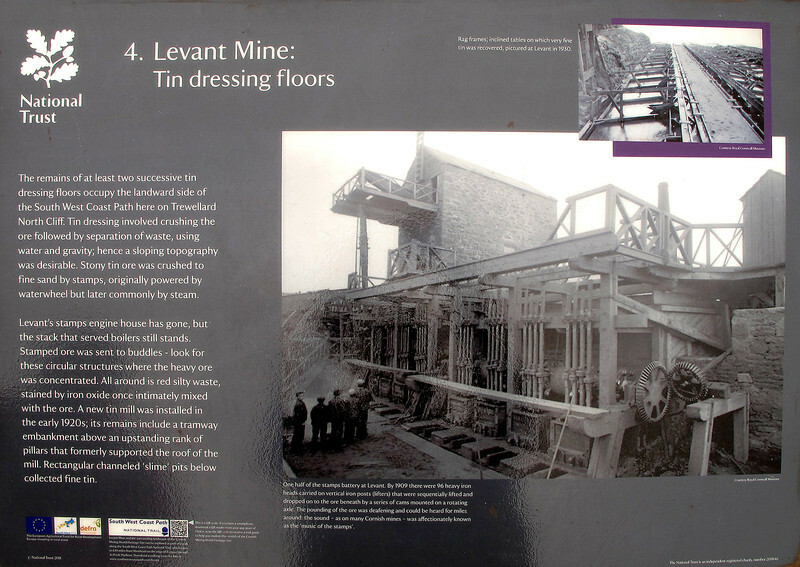 Story board at the Levant Mine on the coast at Pendine. Miners said that while underground beneath the sea during heavy weather they could hear the boulders rolling about on the sea bed above them. 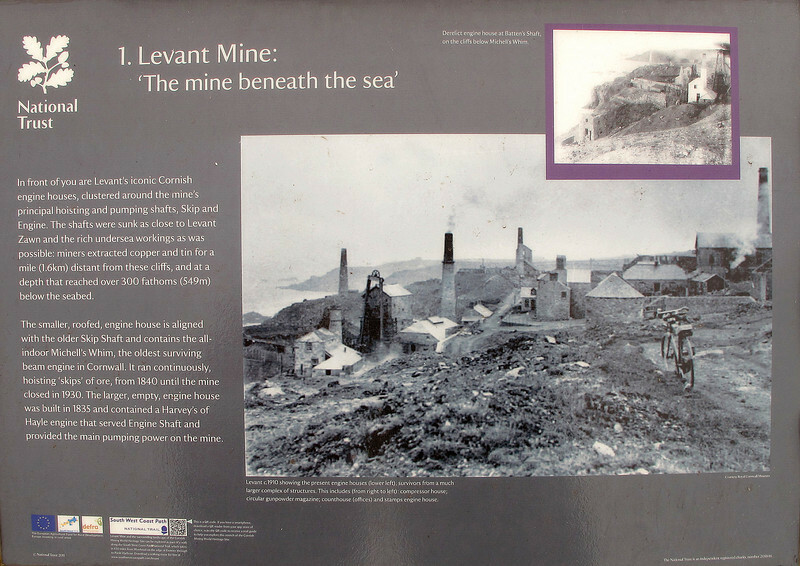 What the old mine looks like now. Some of the buildings have been preserved but much is abandoned and in ruins. 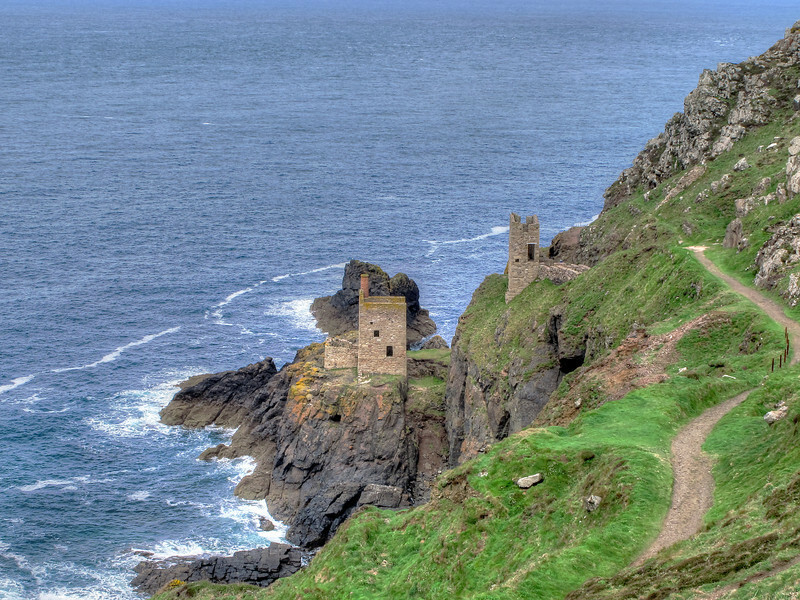 More mining buildings - this time engine houses at The Crowns, Botallack head. 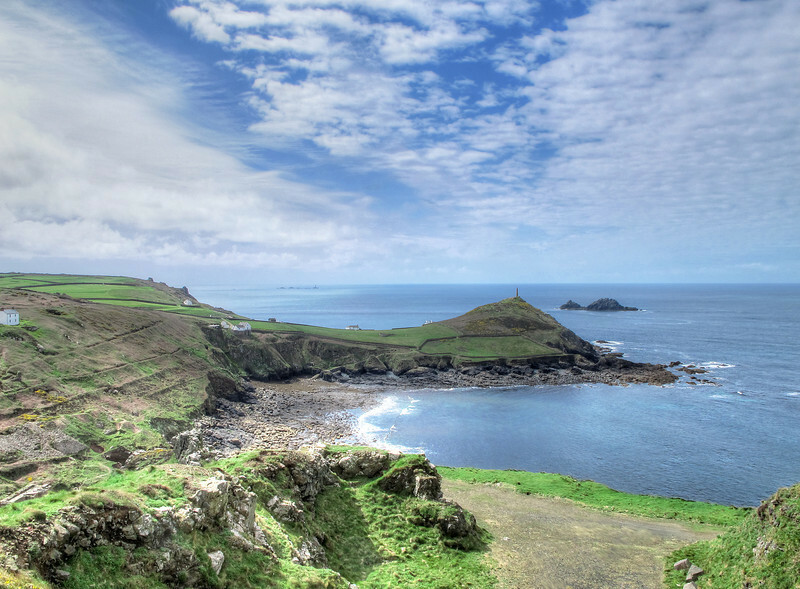 The headland in the middle of the picture is Cape Cornwall, once believed to be the most Western headland in mainland Britain. 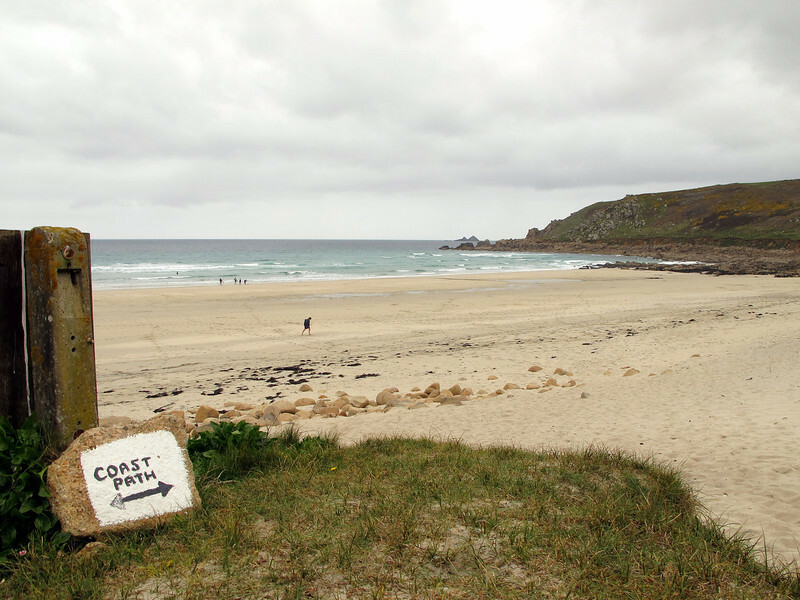 Later when cartographers were more accurate it was found that Land's End held that distinction. The group of rocks off Land's End which culminate in The Longships Lighthouse can be seen in the distance, to be passed tomorrow. 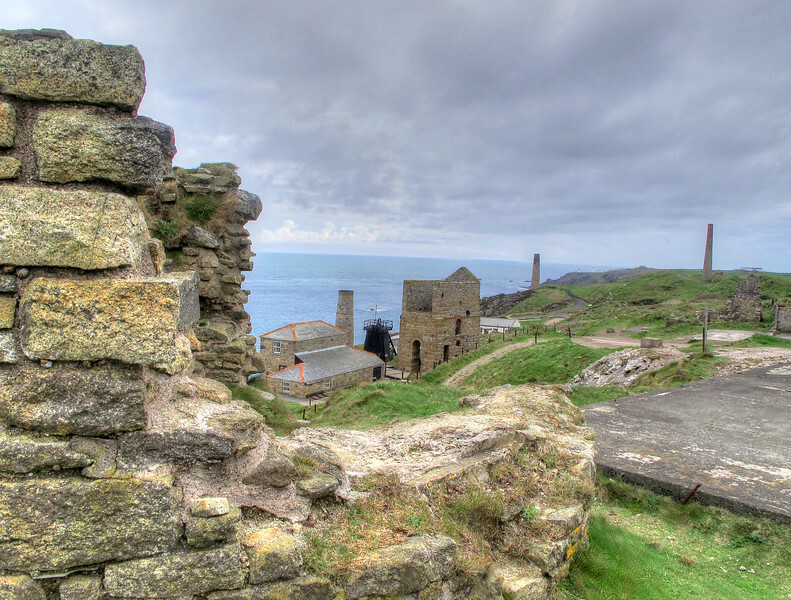 More mine ruins at Wheal Edward Zawn, near Botallack. 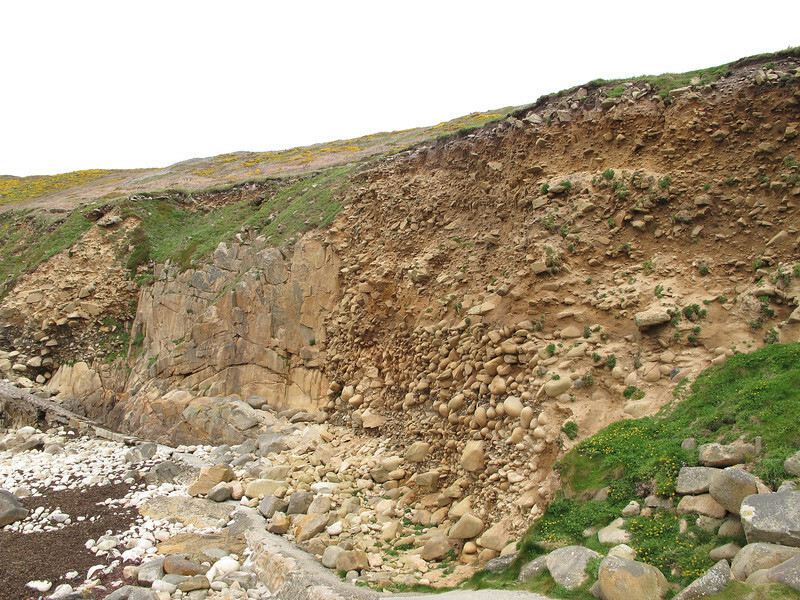 Zawn is the Cornish word describing a tiny rocky inlet, sometimes produced by the roof collapsing in a sea cave. 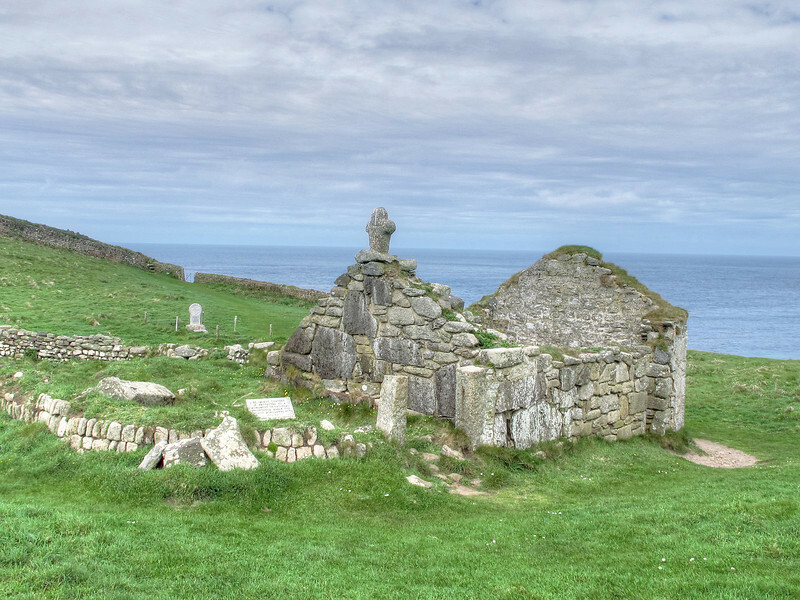 Site of the ancient St Helen's Oratory at cape Cornwall, dating from medieval times. 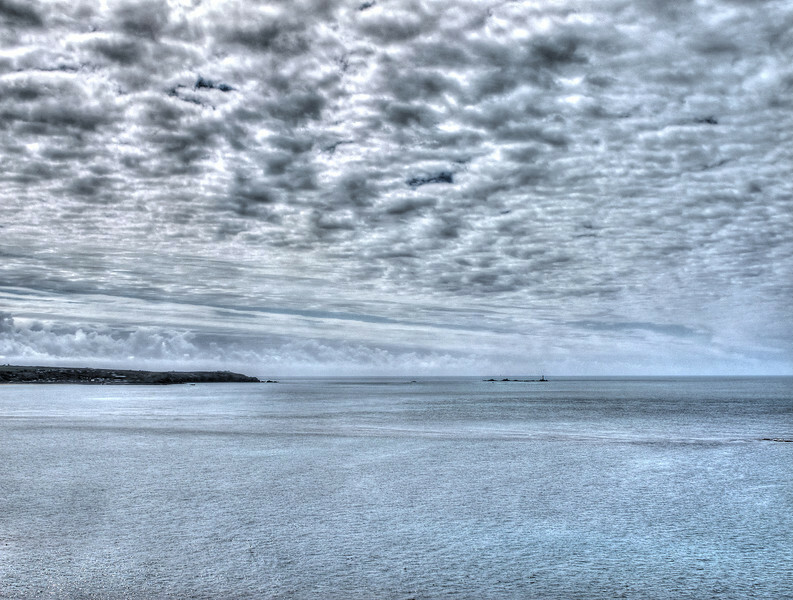 Clouds loom over Land's End, The Longships Rocks and lighthouse. 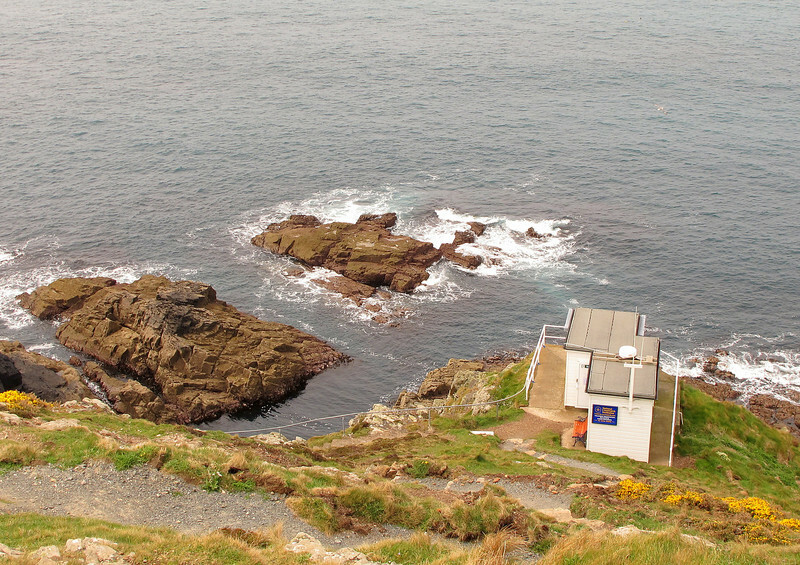 Cape Cornwall coastguard lookout, the most Westerly on the British mainland. 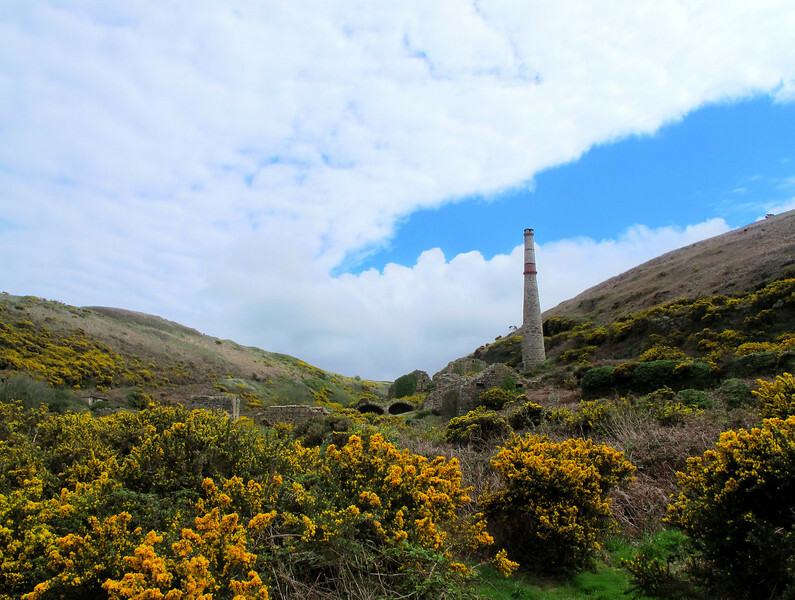 Heinz Monument (the 1864 chimney of the former Cape Cornwall Mine). 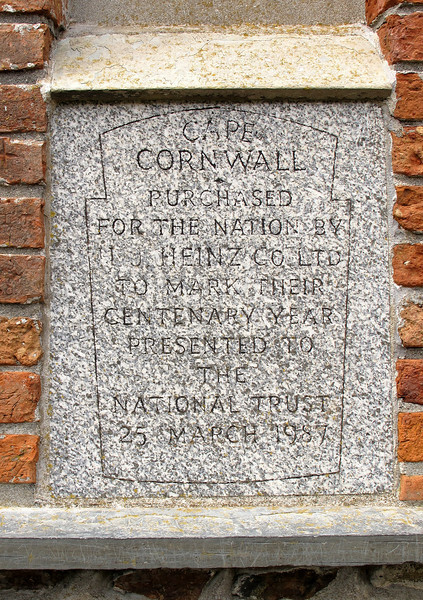 It commemorates the purchase of Cape Cornwall for the nation by H. J. Heinz Company. 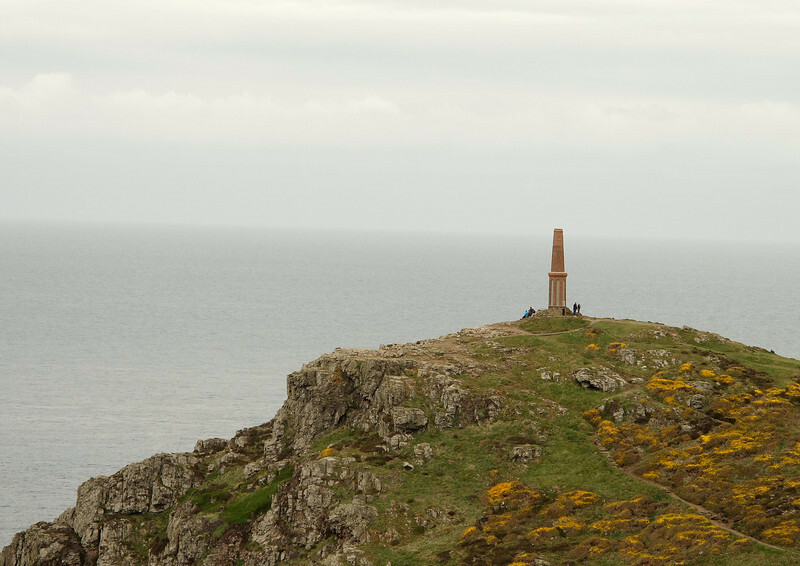 Cape Cornwall and the Heinz Monument. 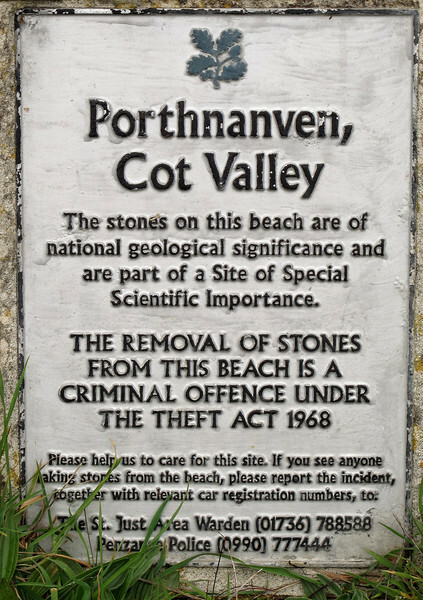 The geologically important rocks at Porth Nanven. The three different phases of rock formation can be seen here. 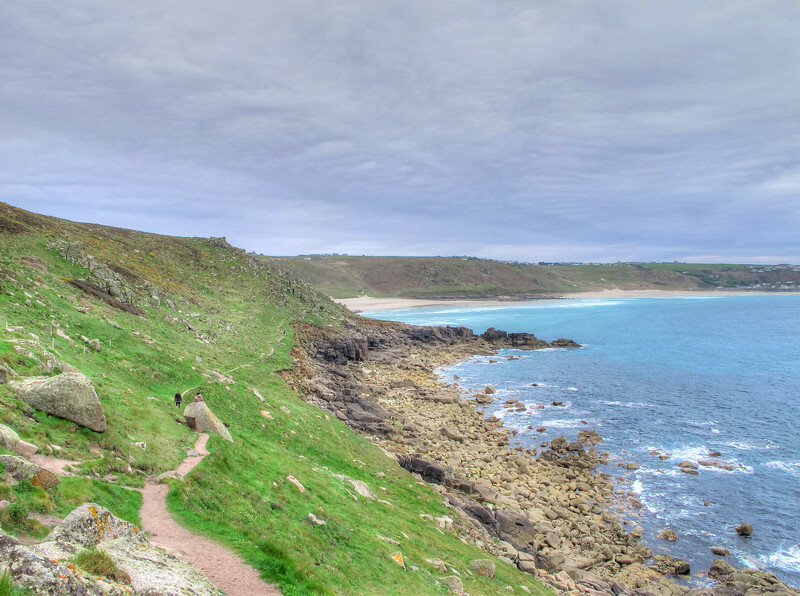 Whitesand Bay leading to Sennen Cove from the headland at Aire Point.